The sharp fall in tariffs of solar photovoltaic power projects in India has allowed industrial units to invest in captive power plants to meet power demand earlier being met from power distribution utilities. Solar power tariffs for photovoltaic power plants in competitive auctions have collapsed from INR 12.76/kWh (19.00¢/kWh) in 2010 to as low as INR 3.00/kWh (4.40¢/kWh) in 2016. This sharp fall has been the result of progressive policies by the Indian government, increased competition among project developers, reduced module prices, and lowered interest rates. Industrial electricity tariffs, on the other hand, have increased almost on a consistent basis. 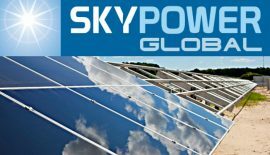 So now that solar power has achieved grid parity large industrial consumers are looking to invest in captive solar power projects to offset the high electricity tariffs levied by distribution utilities. Industrial consumers are required to pay an additional surcharge over and above the electricity tariffs in order to subsidize the tariffs for residential consumers. The overall electricity tariff faced by industries is thus substantially higher than the cost of generation of solar power. The Indian government has also waived off several add-on charges faced by renewable energy projects. These include wheeling, cross-subsidy, banking, and other charges. These charges will be waived-off for solar power projects commissioned by June 30th, 2017, and for wind energy projects commissioned by March 31st, 2019. If an industry could obtain debt financing at concessional rates from an international agency, like KfW, Asian Development Bank, etc., the solar power project can have a near-constant cost of generation of around INR 4.00/kWh (5.90¢/kWh) for the project’s life time, the CEO of a leading cement manufacturer told an Indian newspaper.